At this point in time, it seems that arcade racers have gone out of vogue. With the exception of last year’s lackluster Need for Speed, most racers lean towards the serious side of racing. 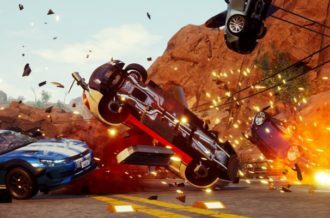 Realistic car handling, use of weight transfer around high speed turns, and proper braking and lines have become the focal point of the gasoline-fueled video game titles lately. Having always been the masters of the simulation racer, Codemasters must have looked hard at this recent trend and decided that these other racing games had no clue. 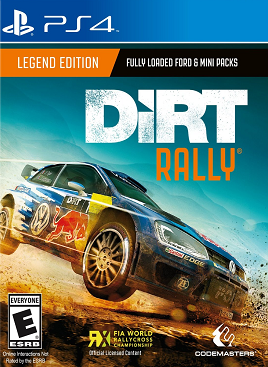 To prove it, they have put together Dirt Rally: the most difficult, grueling driving game that rewards strategy over speed, caution over guts, that I have ever wrapped my hands around. My initial experience with the title was rough. There are a series of well done training videos that cover the concepts of oversteer, understeer, weight transfer, and more. 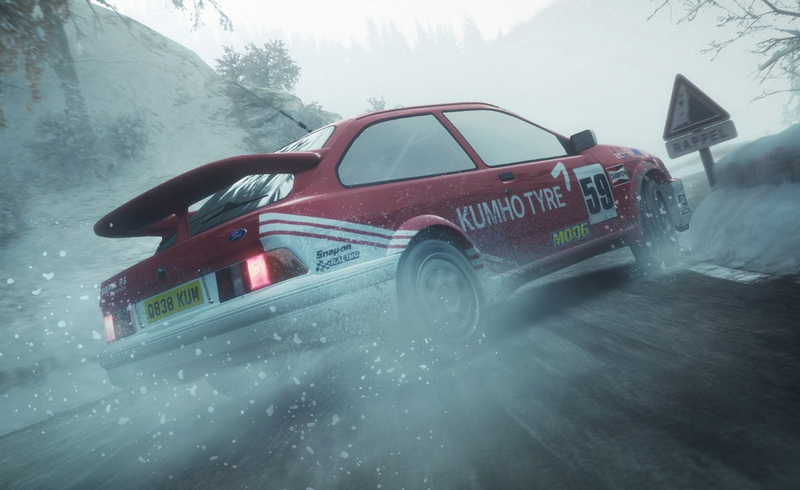 They show the concepts in action, giving players a solid crash course (no pun intended) of actual rally racing. Being the impatient gamer that I am, I watched a few of these and decided to skip the rest, jumping in. After purchasing a car (1960’s era Mini Cooper), and hiring a mechanic, I proceeded to run my first event. The attempt concluded with me and my co-driver piloting a mound of vintage scrap metal. I finished the videos afterwards. The rally type of racing involves running courses off the beaten track in an attempt to achieve the quickest time. Typically, each racer is sent out one at a time. The relationship between the driver and the road is what truly matters. Balancing a healthy respect for the road against the impetus of posting the fastest time is the only way to succeed. 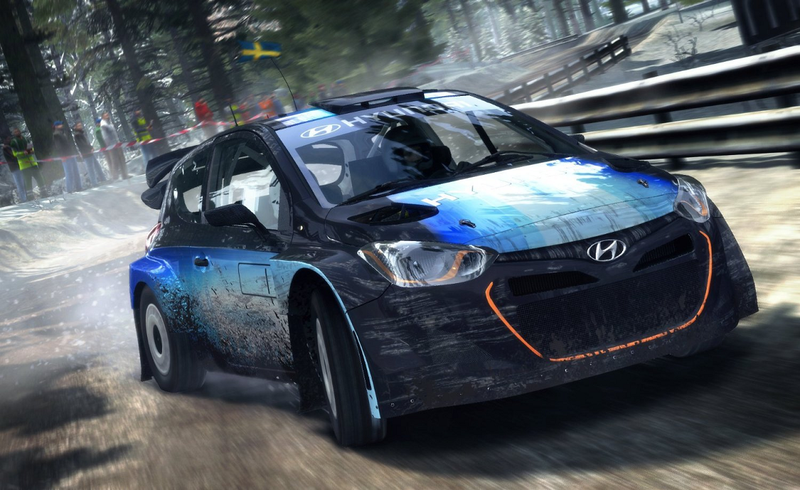 This philosophy shows through with the design of Dirt Rally. This isn’t a game packed full of hundreds of vehicles to whip around hairpin curves. Instead, each of the multiple classes only has a handful of cars to purchase and use. The ones that are present are lovingly realized. Even in a class, each vehicle has its own unique feel and behavioral tendencies. Learning to master each one is a challenge in and of itself. Where Codemasters really put the focus was on the tracks themselves. Spanning the likes of Finland, Swedan, and Greece, each and every track has its own personality. This especially shows through on the realistic handling of the surfaces. Driving on concrete is different than asphalt. The texture of gravel and dirt feel completely different. Even using a controller, the connection between player and the road is incredible. This also means that there is a severe need to pay attention to the changing surfaces over one race. It might have been possible to slide around the last ninety degree turn at forty miles per hour, but trying it on the next will result in a spin out and lost time. With the focus on realism comes the removal of an onscreen map. In its place is a co-driver. Stoic, calm, and well researched, this gentleman has studied the track and gives quick and clear instructions. He also became a source of great personal amusement. As previously documented, I started off really bad. “Right six forty” he would advise, indicated a gradual right curve. I take it. “Left one, don’t cut,” he would say immediately afterwards. “Left three sixty,” the man unflappably intones as we are cartwheeling down the side of the mountain due to my failure on the previous turn. The good news is that the vehicle is still in a recoverable state. Were it not, the run immediately ends. As an aside, and this is not something that affects the score, it would have been nice to have a few options for the voice of the co-driver. The British gentleman did a great job, giving instructions quickly and clearly, but having a few options for accents or the ability to select a female cohort would have let players customize their experience in a pleasing manner. Even further, this would be a great area to explore DLC. I would pay good money to have GLaDOS in the passenger’s seat. 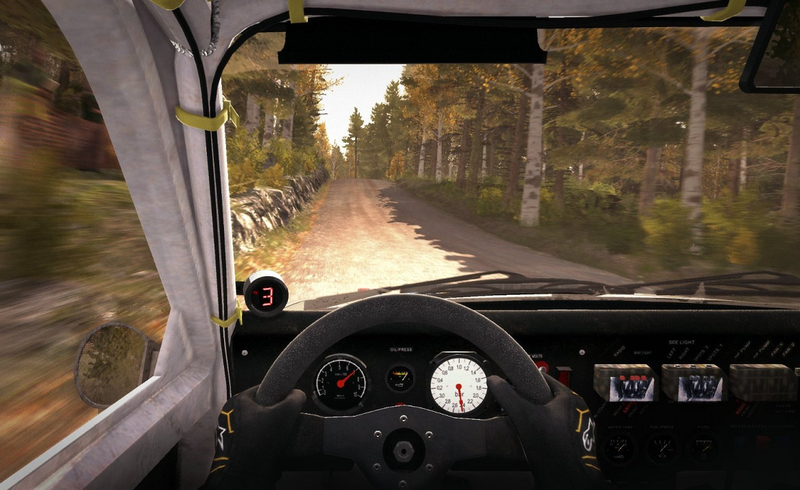 Overall, Dirt Rally is graphically impressive. The appearance of the freshly plowed roads and the trees whipping past look realistic and enticing. Losing oneself to the scenery is a guarantee. That is, until some of the odd glitches poke through. Occasionally, usually when there are shadow effects from sunlight poking through the trees, the textures can become pixelated. The bystanders along the roads also are less detailed. Typically, this doesn’t matter. The player is usually flying past the crowds, attention focused on an upcoming curve. However, when at the starting line and staring at a creature with the blurry face effect that was popular in late 90’s horror flicks, it becomes extremely noticeable. It is also recommended staying in cockpit view. The interiors were lovingly rendered and the tracks felt easier to navigate from here. 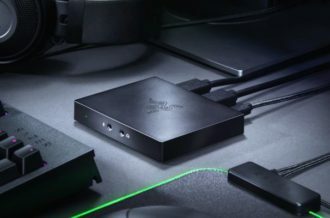 One recommendation that must be made when playing this title: use surround sound. Using either headphones or home system doesn’t matter, but having a decent aural set up is important here. The sound team nailed this one. In races, the music is the roar of the engine, the plinks of gravel getting kicked up and hitting the car’s undercarriage. 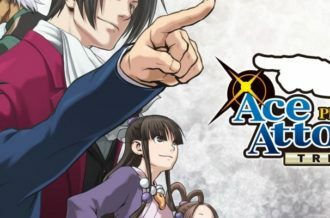 The aural design of this game is some of the most effective that I have ever encountered. After beating the hell out of my car, a strange and worrisome hiss started occurring, leaving me feeling unsettled, worried. Whether or not my car even made it to the finish line was in doubt, and I was immersed in the fear of failing out. 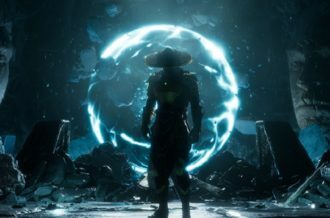 Divided across multiple championships, the single player experience is plenty to last dozens of hours as techniques are improved and better track times are posted. There is also a slate of multiplayer modes and events. Players can create custom championships to challenge friends, and there is always a PvP event occurring. The most addictive of these modes are the punishing daily and weekly challenges. 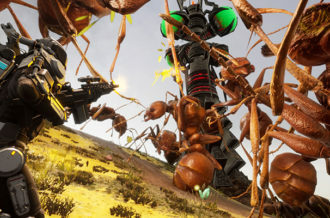 The daily challenge forces players to run one course for the best time. The weekly takes this and spreads it across multiple courses. Trashing the car means disqualification and profound disappointment. 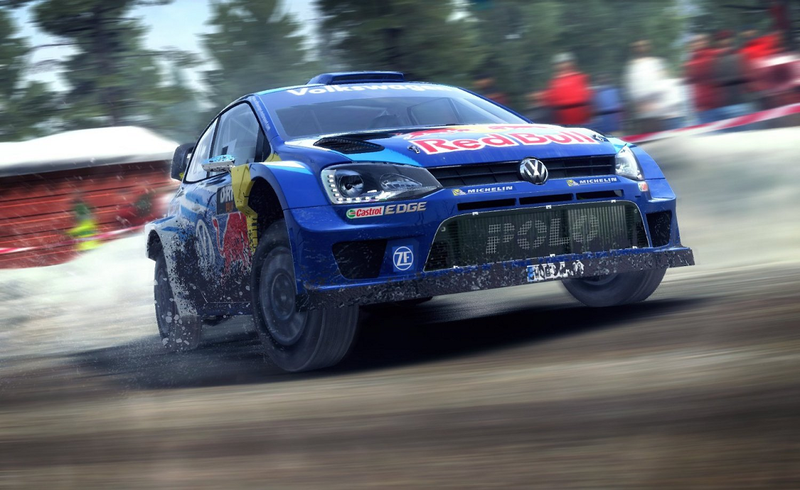 Codemasters have crafted an almost perfect racing game with Dirt Rally. Some players might balk at not sharing the road with other racers, but the true rally experience is represented here in spades. Failures on the track are painful. Success is glorious. This is a title that rewards paying attention and thinking as much as it does raw skill. Some graphical peculiarities might pop up here and there, but these are only slight blemishes on an otherwise outstanding title.